Read about it TitusOneNine. As we recall, this is the second time the Diocese of South Carolina elected Mark Lawrence to be their new diocesan bishop. Last time Via Media, protomoted by 815, led a lobbying campaign to defeat the Standing Committee consents (and it was close), finally defeating his election by a technicality that the PB blamed on the canons (see here and here). Since then we’ve discovered the the Diocese of Virginia’s consent process did not follow the canons (some canons apparently being more equal than others) – which was not known until the Diocese of San Joaquin finally made public their inquiry to 815 when the national church ignored their requests. Now the people of the Diocese of the South Carolina have bravely re-elected Mark Lawrence and it will be interesting to watch Via Media and 815 this time. One thought is that they will stay silent, hoping to make South Carolina a “loyalist diocese” and promoting dissension from within. 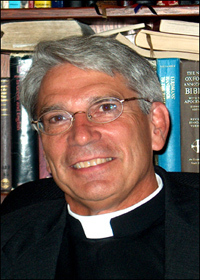 Episcopal News Service did not lobby for or against Mark Lawrence. They reported the news as it related to South Carolina and the election.Just go Just go < HREF="http://www.episcopalchurch.org/ens" REL="nofollow">here<> and search for “South Carolina” See what comes up.I am disappointed that you did not do your research for this – you are usually more diligent.